Provide the base to achieve outstanding academic results. Make certain the transition between primary to secondary is smooth, stimulating and enjoyable. Ensure an all-embracing, friendly and comprehensive induction process is completed. Provide continuous outstanding pastoral support. Celebrate achievement with all students making progress in every aspect of school life. Instil Honesty, Diligence and Tolerance to enable development socially, emotionally and academically. Year 7 comprises the Head of Year, Mr Cowley, and a team of form tutors. The team can be emailed at any time to answer relevant queries or questions. Subject queries should be addressed to the subject teachers (see Curriculum for Heads of Department). A full list of staff emails is available for other queries. Year 7 marks the transition from primary to secondary school and with it comes a whole series of new challenges, expectations and opportunities. The Year 7 tutor team is a static team that specialises in supporting students through the transition process and helps them to become part of Burford School. Being a specialist team means we understand all the small worries and uncertainties that new students and their families can face, and are able to structure our programme to pre-empt these. If parents do have any question, no matter how small, the tutor team is only an email away and happy to help. Students joining the school in Year 7 start their induction programme in Year 6. From the time that they decide to join the school, until the Easter of Year 7, they are guided by a team of teachers who get to know them well. They are also supported by Year 13 students, trained in mentoring, who act as ‘buddies’. In order to add to the family feel, where every child is known, students are placed into a School House, which promotes interaction between students of all ages, team-spirit and celebrates the contribution of every child in every way, from sport to art events, the Talent Show to the Inter-House Show Jumping. 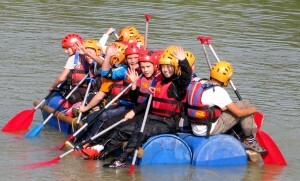 There is a school residential trip early in Term 1 for all Year 7 students. The trip is based at the PGL Centre in Liddington, near Swindon. This is a three day fun-filled visit designed to build confidence, encourage team-building and help students get to know each other across the year group. Students are encouraged to participate in school life through sport, music, drama or house events, taking part in clubs, societies and team activities. There is a strong ethos within the school to get involved and Burford is renowned for the rich variety of activities on offer. Each year students put themselves forward to become Roving Reporters for the Burford Chronicle. this involves following up on stories and issues that relate to Year 7 and suggesting topics that are of interest. They then put together a short newsletter which is published three or four times a year. 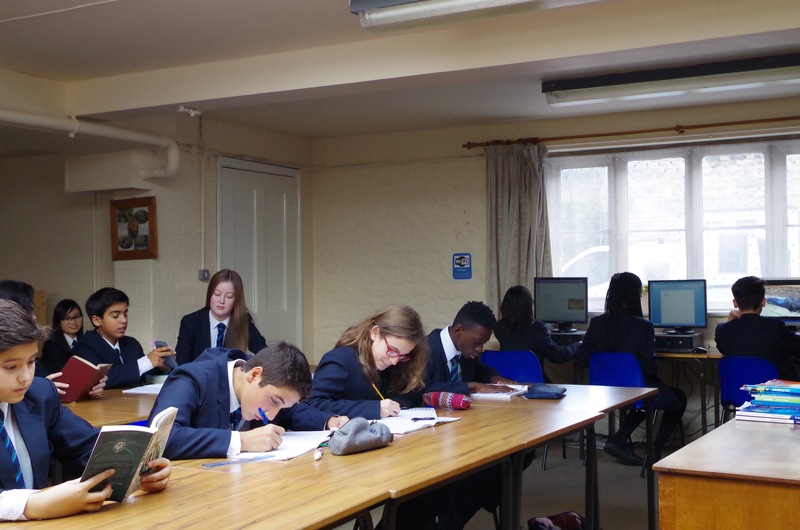 This year they are assisted by one of our Sixth Form students – a collaboration which is of benefit to all parties – guidance and support for our Year 7 students and the opportunity to mentor for one of our older students. From Monday to Thursday we offer an extended day, until 8.00pm. This is to accommodate the needs of busy parents who may, due to work commitments etc, not always be on hand at the end of the normal school day. 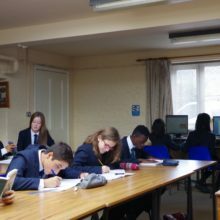 Burford Plus offers students the opportunity to join the boarders and make use of the facilities within the Boarding Department. Tea and supervised homework is included together with the opportunity to take part in a range of evening activities organised by the boarding staff. Year 7 forms the beginning of Key Stage 3 in which students are taught a wide range of subjects and make use of our excellent facilities. Classes are largely taught within form groups with the exception of Maths and French, which are set according to ability. From September 2017 the assessment and reporting system for students in Year 7 will be based on how much progress they make from a starting point. On the reports sent home to parents there will a be a target colour band for each subject rather than a grade. Your son or daughter will make expected progress for the year if they remain within this target colour band. Each subject has a set of criteria for each target colour band so students know what they are aiming to achieve. The criteria will also help students set themselves a target after each review point. Following each review all students will have learning discussions with their subject teachers and tutors about how to maintain progress and how to move learning forward. You will be able to see the target set by your son or daughter, under the guidance of their subject teacher, in their subject books. In line with government directives students are not permitted to take holidays during term time. Only in exceptional circumstances is the Headteacher able to sanction time off and adherence to this is essential for students to achieve successful outcomes at GCSE. Each year students choose a charity to support throughout the year. Students raise money for their chosen charity, raising awareness of the charity’s aims and projects in assemblies and through presentations. This year the students have chosen to support Water-Aid.